Big things are coming as we celebrate the 25th anniversary of Two Lines. Happy New Year! 2019 is a special year for us, as we celebrate the 25th anniversary of the Two Lines journal, which we consider the Center for the Art of Translation’s cornerstone and the origin of Two Lines Press. Here are some of the things we’ve got in store for you. Two Lines 30 celebrates our 25th anniversary with a section dedicated to “the future of translation.” This special issue features essays on the subject by Heather Cleary, Madhu H. Kaza, Bradley Schmidt, and others, as well as two new translations of never-before-seen poetry from the archives of legendary Danish poet Inger Christensen by translators Susanna Nied and Denise Newman. We’ve also given ample space to emerging translators just completing their first works, truly showcasing what the future of translation will be! In the fall, Two Lines 31 promises a collection of exciting new voices in Mexican fiction on the theme of “hauntings.” Stay tuned! 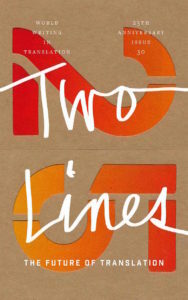 This year Two Lines Press is expanding its list, publishing seven books in translation. First comes our third title by Brazilian author João Gilberto Noll. 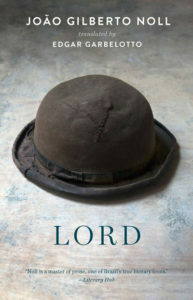 In Lord, translated by Edgar Garbelotto, a Brazilian author is mysteriously invited to England for what appears to be a writing residency, but once he gets there, very strange things begin to happen, and he is sucked into a fugue state while trying to maintain a grip on his sanity. 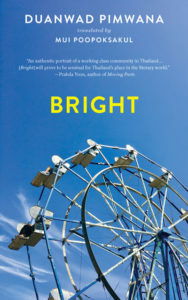 Next is Bright by Duanwad Pimwana, translated by Mui Poopoksakul, the first novel by a Thai female writer to be published in the US. Told through a number of heartfelt, fascinating, brief episodes, Bright details the coming of age of a boy who is abandoned by his impoverished parents. 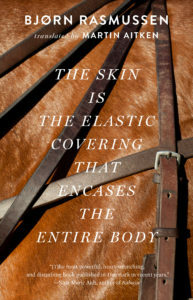 Our spring concludes with The Skin Is the Elastic Covering that Encases the Entire Body by Bjørn Rasmussen, translated by National Book Award finalist Martin Aitken. Raved as one of the most shocking and innovative queer titles to come out of Europe in years, Skin tells the difficult story of a teen’s enormous trauma and the sexual relationship he desperately takes up with an older man. 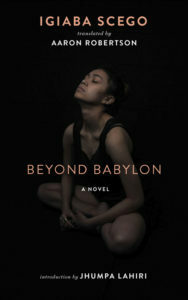 In the fall you can look forward to a genre-bending novel by Swedish author Johannes Anyuru suffused with science fiction and issues of terrorism, islamophobia, trauma, and memory. And finally, we’ll conclude the year with another title by the brilliant Marie NDiaye. Now is the time to SUBSCRIBE to Two Lines Press. Don’t miss out on our biggest year yet! We have lots of incredible events lined up for this year! Coming up on February 11, we’re hosting Kim Hyesoon, Don Mee Choi, Forrest Gander, and Brenda Hillman for a discussion about reenacting trauma and narrating death in Kim Hyesoon’s powerful new book, Autobiography of Death, translated by Don Mee Choi. Join us at the AWP Conference this year in Portland, Oregon. We’ll be hosting The Future of Translation Party together with our friends at The Literary Review and Arkansas International on March 29, featuring performances by Gregory Pardlo, Mónica de la Torre, Jennifer Grotz, Curtis Bauer, Will Schutt, Kate Whittemore, Edward Gauvin, Jeffrey Angles, Kelsi Vanada, and Aaron Coleman. Curious what else we have going on? You can check our events page throughout the year for updates, as well as our monthly newsletter.